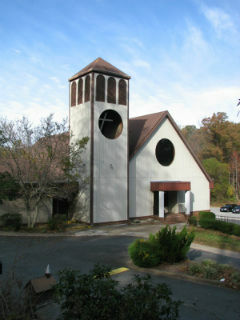 In 1955, Rev. Bob and Ruth Revell assumed the pastorate of the small church. 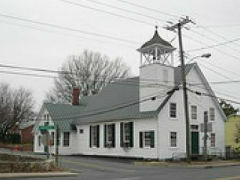 After meeting in the portable tabernacle for several years, the church sold the Chatham property for $4,000 and purchased the old Falmouth Baptist Church building on the Rt. 1 highway just across the Falmouth Bridge for the astronomical sum of $10,000. There for over nine years, Pastor Bob and Ruth lived in an apartment built in the back of the church. These rooms, including bedrooms, also served as Sunday School rooms, fellowship hall, or whatever. Later, the Revells were able to build a house on a small lot “next door” that also served for Sunday School space and a fellowship hall. It also provided some parking.